I want children to be able to learn easily, to have access to learning, and enjoy reading, writing and spelling. After my two sons, Peter and Edward were born, I became interested in all aspects of child development. With the knowledge I gained, they both flourished at school and at home. I now offer what I discovered to parents who are searching for effective ways to support their children’s learning and development during their school years. My younger son, Edward, had reading difficulty and started needing help with spelling at school when he was six. I remember trying to teach him to spell one word and after an hour practicing it, he still couldn't remember it. I thought that there must be an easier way to learn and remember spellings and there is, with memory tricks and fun, spelling games. Often older children, who believe that they can’t spell well, have surprised themselves and within a few minutes of learning the spelling technique, have been able to spell hieroglyphics forwards and backwards correctly from memory. I often see an improvement of one or two years in the child's reading age in a school term and a year in the child's spelling age in a school term. I asked friends with dyslexia for their dyslexia strategies. I started giving workshops for parents and teachers in 2010, and I developed the material from my teaching and the workshops. I have refined this material in my eBooks "Teach your child how to learn - a step to genius, Reading, Writing Spelling" eBooks 1 and 2. So all children and especially those who find learning difficult or it is their second language can learn easily from the material. The books, games, short stories and colouring sheets are used by parents and teachers on a one-to-one basis and in small groups when teaching foreign children English. 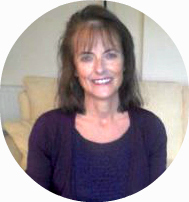 I qualified and started working with children as a Dyslexia Therapist in 1994. I am also qualified as an Autogenic Therapist, an NLP Practitioner and have been trained in the visual and auditory perceptual fields as well as well as being an EFT Master Practitioner. Izzy also works with children who have difficulties in the Visual And Auditory Perceptual Fields. Izzy was a School Governor of a London Day School from 2008 to February 2013.